BHAIRAHAWA, Sept 19: Recent storm and heavy rainfall damaged banana crop worth millions of rupees in Rupandehi district. According to District Agriculture Development Office (DADO), Rupandehi, banana crop worth Rs 18 million was destroyed by rainfall and thunderstorm. 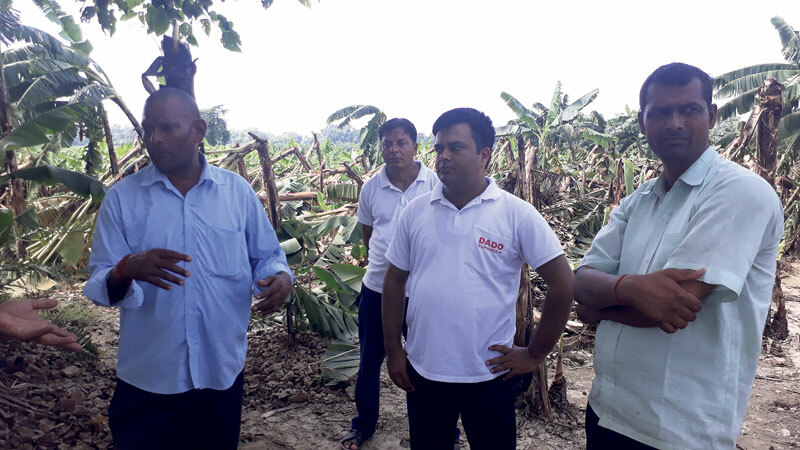 Ghanashyam Chaudhary, a horticulture development officer with DADO Rupandehi, said recent rainfall and storm damaged banana crop worth Rs 18 million spread over 25 hectare. Bethari and Hati Bangai of Mayadevi Rural Municipality, Mainahiya and Chhapiya of Siyari Rural Municipality, and Gaidahawa Rural Municipality are the pocket area of banana farming in the street. The storm of last Tuesday damaged most of the banana crop in Bethari, Hatibangai and Gaidahawa, according to Chaudhary. “Around 80 families, who were involved in banana farming, had to face loss ahead of the major festive season due to rainfall and storm,” he added. Most of the farmers have suffered as banana crop that was planted targeting the Dashain, Tihar and Chhath festivals have been damaged by the storm. Farmers, who started banana farming taking loan from banks, say they don't have any means to repay bank loans. Abadh Raj Yadav of Mayadevi-6 said it would now be difficult to make ends meet. “I don't know how to repay bank loans,” he added. Local farmers had planted banana crop in a minimum of 10 kattha to a maximum of 10 bigaha of land. Some farmers have taken land on lease and secure bank loans to plant banana crop. The farmers have requested DADO Rupandehi officers to take needful initiative for providing compensation to them. However, Chaudhary of DADO Rupandehi, told Rpublica that the district office do not have relief fund. “We have send details of the damage to the Ministry of Agriculture and the Department of Agriculture, requesting the ministry to compensate farmers for the loss,” he added. 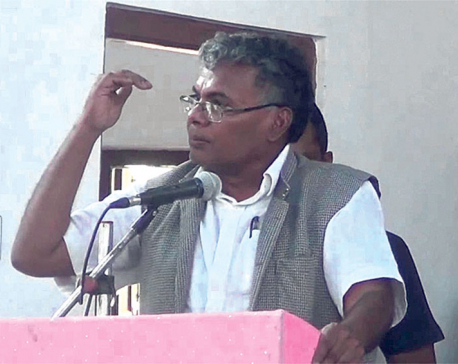 He further added that the DADO Rupandehi has also notified Natural Disaster Relief Fund, Rupandehi, to provide relief to farmers. Only a few farmers in the district have insured their crop.